What I love about this layout is that you could easily duplicate it in a totally different look just by switching the DSP. It is perfect for coordinating papers. 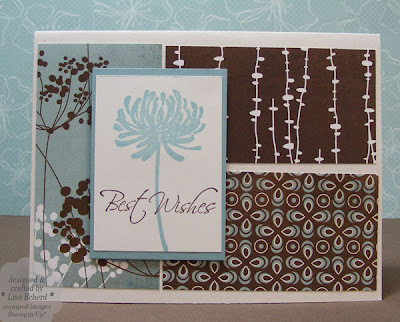 Ingredients: Stamps: Kind and Caring Thoughts by SU! 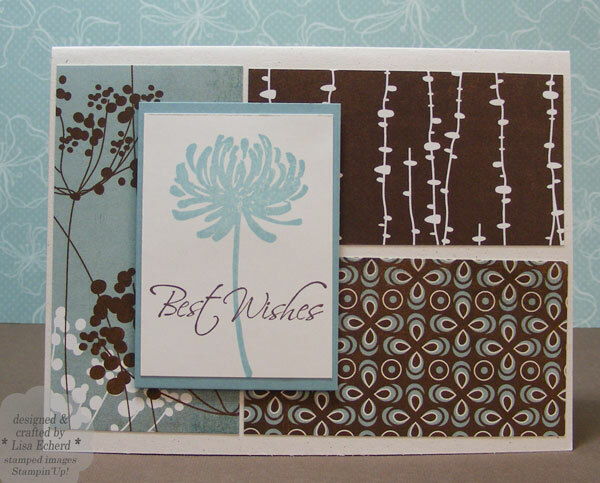 Love your use of these fun papers for this great sketch and love the Baja with the brown, another of my favouirte colour combos!